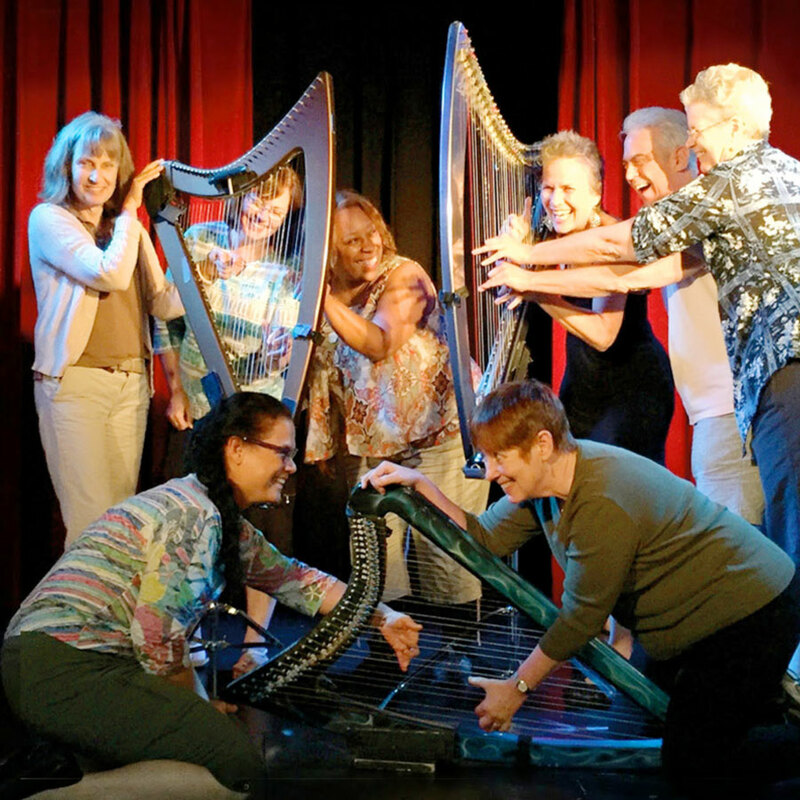 a gutsy set of vocal chords and theatrical flair. 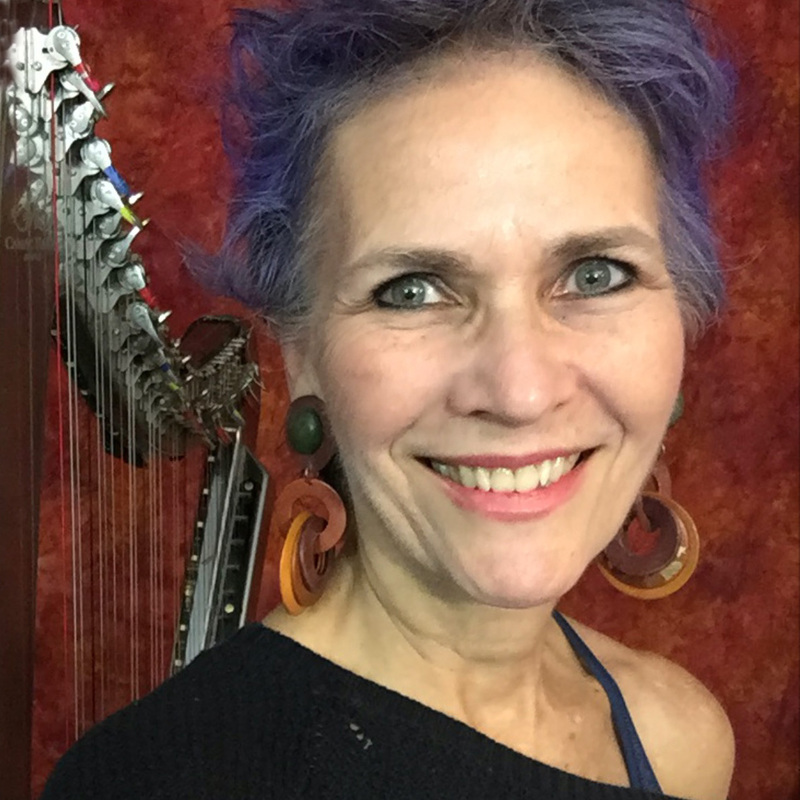 Composer, Performer, Innovator and Creativity Coach – Deborah Henson-Conant is all about story-and-music – whether she’s performing a one-woman show, or appearing with a symphony orchestra with her original symphonic music. 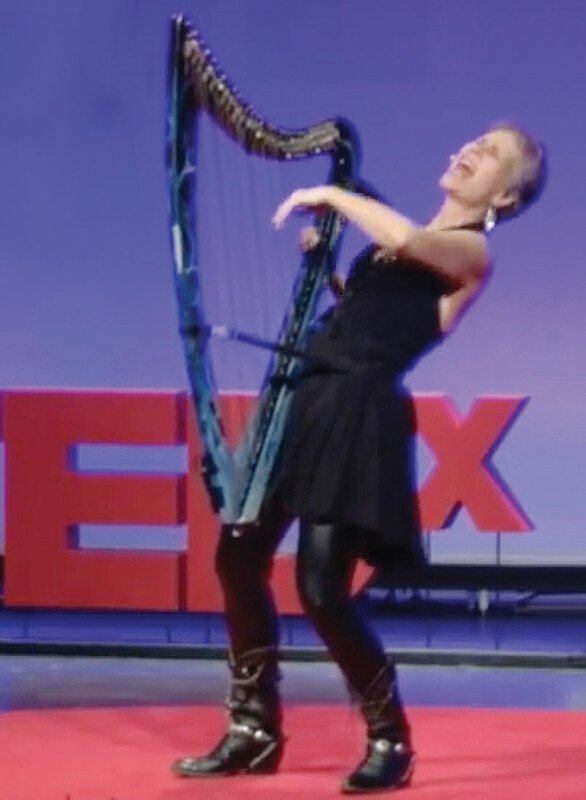 She uses her wearable-electric harp as a partner in music and story-telling – and coaches other artists in how to express themselves with music and tell their own stories. 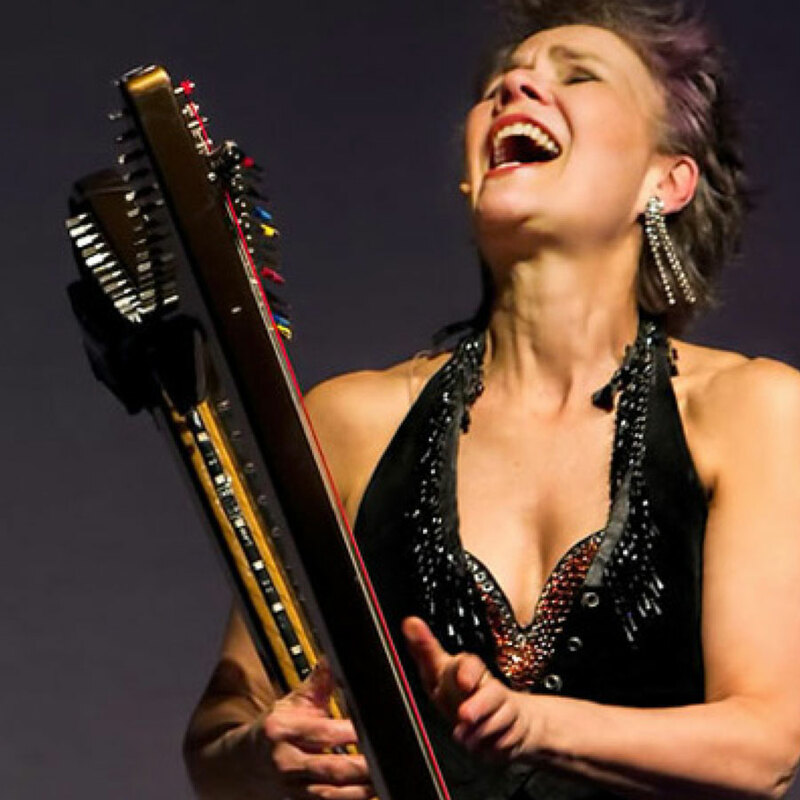 This 2-minute video gives you taste of what she does. 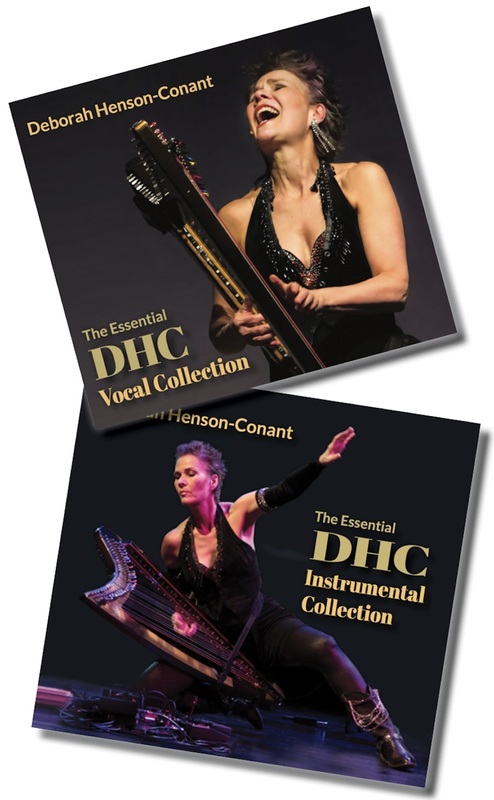 32 Tracks in two different albums: The Vocal Collection & the Instrumental Collection. Learn more here. 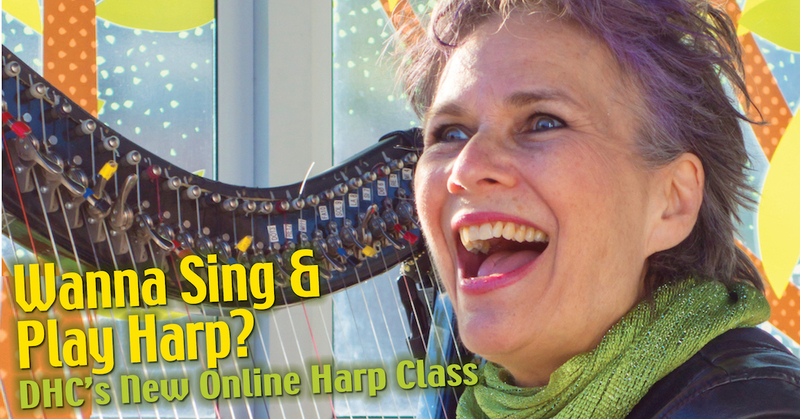 The FIRST EVER class in the “Sing & Play Harp” Immersion Series.